What Is German Bohnenkraut (Summer Savory)? Bohnenkraut (Satureja hortensis) is the German word for summer savory where it is also known as gartenkraut and bergkraut. It is considered a must-have spice for cooking beans, especially green beans. It also is part of the French spice mixture herbes de Provence. It is an annual plant, related to winter savory, a perennial. It has a strong, pungent flavor reminiscent of oregano, which is less bitter than winter savory. Both kinds can be dried, but the German cuisine often calls for a bunch of fresh savory during cooking, which is removed before serving. This is because the taste is so strong that it can be unpleasant in large amounts. Savory is native to the eastern Mediterranean area and came to Germany in the 9th century, brought by monks to grow in their monastery gardens. It can purportedly help with the digestion of beans, diminishing unpleasant side effects. Dried peas, lentils, and dried beans are often cooked with savory for this very reason. In addition to dried peas, beans, and lentils, summer savory also goes well with a variety of meats and fish and, when chopped fine, can add flavor to a simple vinaigrette. Other herbs that go well with bohnenkraut are parsley, dill, basil, tarragon, onions, suppengemüse (soup greens) and garlic. Both types of savory originated in the Mediterranean and have a peppery taste. 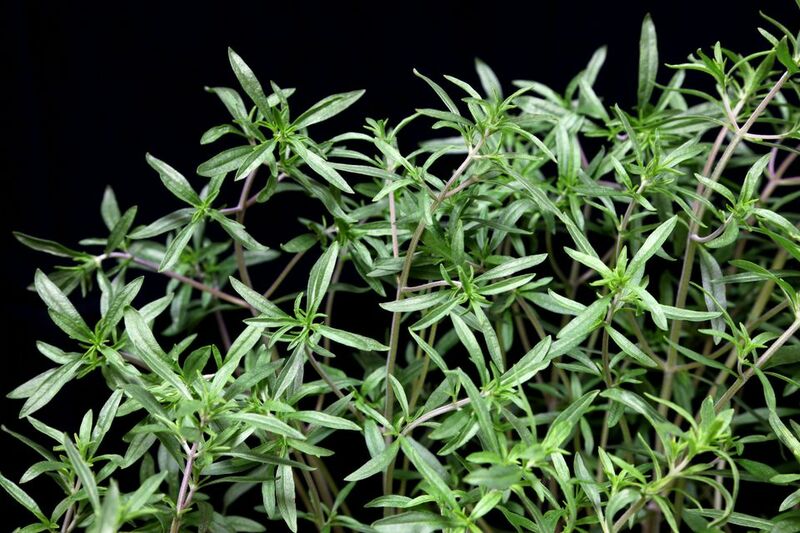 Summer savory: This more common variety has a lighter aroma, and sweeter taste and the fresh leaves can be used to garnish fresh salads, in egg dishes, beans, lentils and mixed with breadcrumbs as a topping. In its dried state, it can be found in spice blends in France, Italy, and Bulgaria. Winter savory: Savory's winter cousin is more aromatic and bitter tasting. It needs to be cooked for longer periods of time to break down its fibers and bring out its good side. It is frequently used to flavor stuffings, vegetables, and stews. It also can be found in salami and sausage recipes. Do You Know the Difference Between Ballottines and Galantines? What Exactly is Oatmeal, Anyway? Where Does Gelatin Come From?